【Application】: Suitable to wash and sieve all kinds of material with sticky clay, such as alluvial ore, sand, stone, etc. 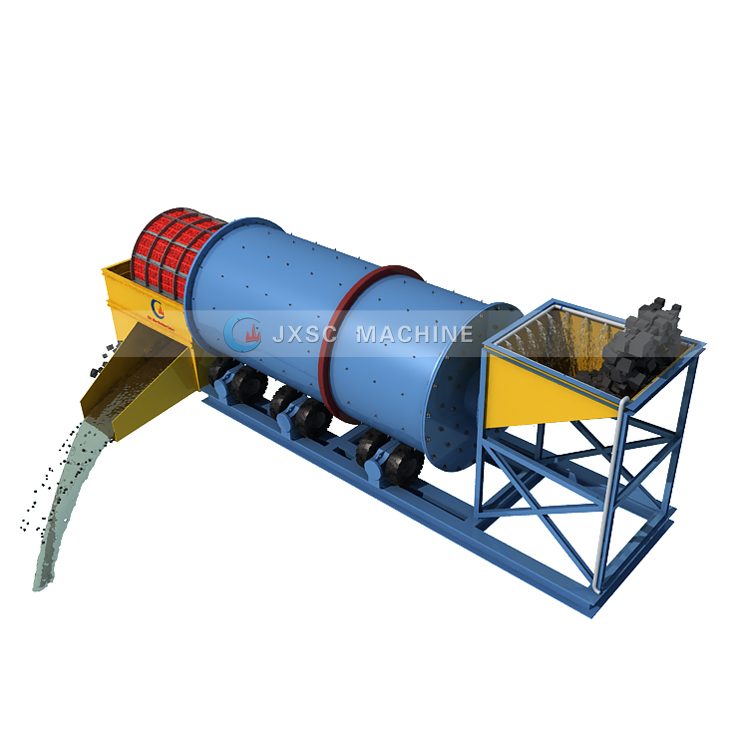 【Description】Gold trommel, a kind of gold wash plant, is used for cleaning mud-bearing ore before the execution of gold mining process in the gold trommel wash plant, improving ore dressing index of later process, commonly used for washing manganese ore, iron ore, limestone, tungsten ore, tin ore, silicon ore and other minerals. 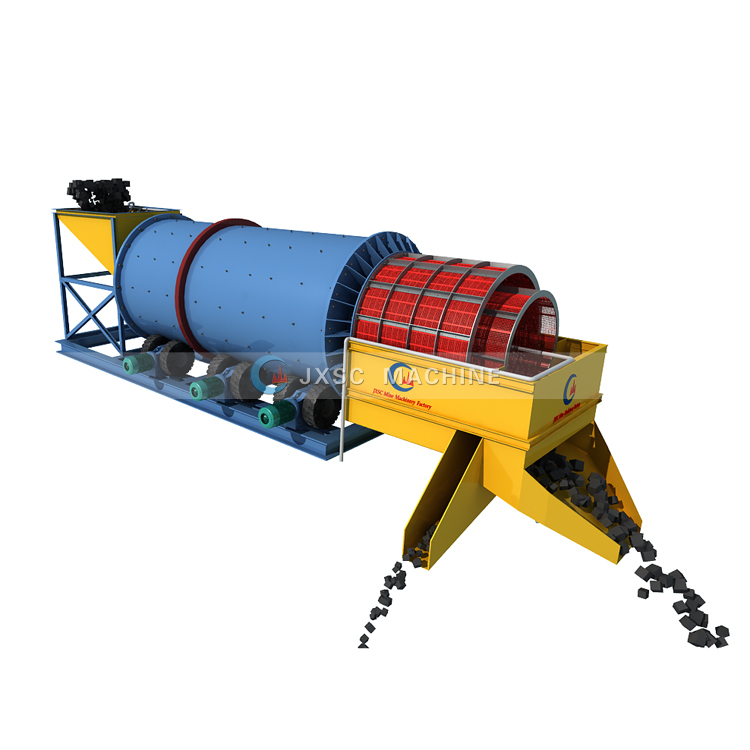 Trommel screen is large-scale equipment used for cleaning ore and stone in black and non-ferrous metallurgical mines, iron and steel, metallurgy, chemical industry and building materials. Wash plant capacity is to meet the large productivity of ore, stone cleanliness requirements of the enterprise’s ideal equipment. Gold mining trommel can avoid the mud containing mineral raw materials in the crushing and screening equipment blocking mud, raw materials such as containing soluble useful or harmful ingredients to also wash ore.
1.Trommel scrubber with the good function of washing clay, screening ores. 2.High production capacity ( can be from 1T/H to 250 T/H) & efficiency. 3.Low operating cost, easy maintenance and low noise. 4. The length &diameter of the drum, screen mesh, layer quantity of screen can be customized. Small scale gold wash plants, mini gold trommel are available. 5.Can be made a portable gold trommel wash plant or stationary type. 6. Operating with other mining machines. 7. The inside drum can be lined with rubber plates or welded with steel material spiral plates. 8. Screen material can be PU or manganese or stainless steel 9. With Rubber tires driving, water spray pipes inside screen. 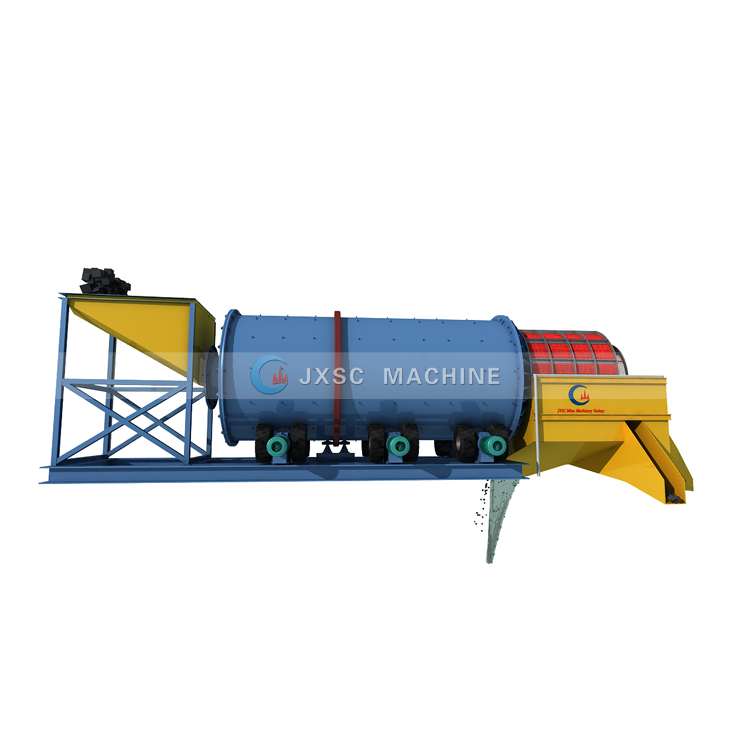 JXSC, provide professional gold trommel design service, gold trommel for sale! 【Work Principle of Gold Trommel】Trommel scrubber washer machine is main washing equipment in the mining industry, widely used for washing alluvial type/sand type ores and stones, that with much sticky clay, with much good washing effect for clay. Trommel scrubber washer machine with two parts: drum scrubber and screen. 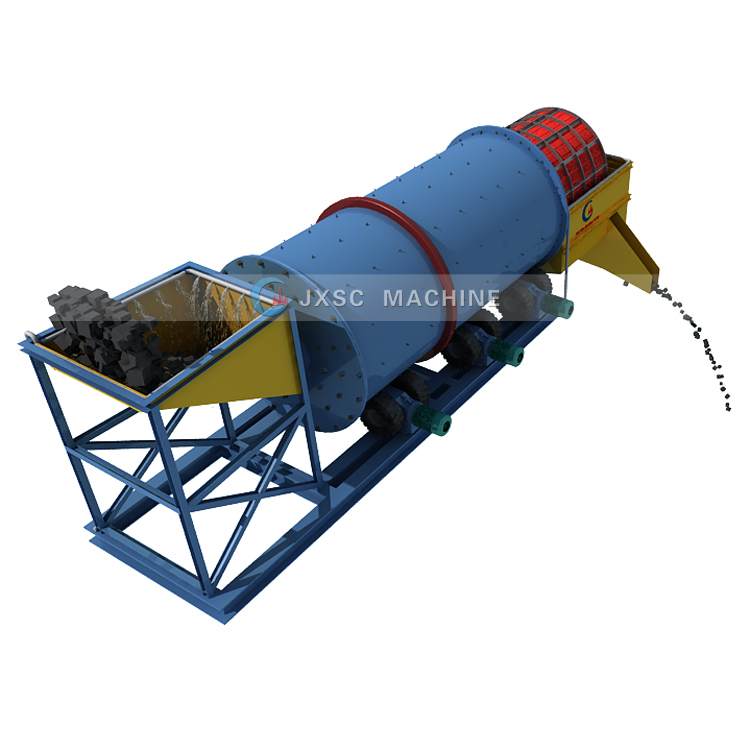 The drum scrubber is for washing ore, the screen is for sieving different size particles after washing. Gold trommel is applicable to iron, manganese, limestone, tin ore with more mud content of ore cleaning sand, can be the mineral agitation, washing, separation, desliming. It is also suitable for stone cleaning of buildings, power stations, etc. The flushing water pressure is 147-196kpa. Trommel scrubber is the use of water buoyancy, dust and impurities in the sand separation. Through the agitation, to filter water to impurities, promote the purpose of transmission. And in the lifting process, also carried out mixing work. Sand is to achieve a uniform mixing, no fine, coarse sand points. The gold mining wash plant has the advantages of the long spiral body, good sealing system, simple structure, strong processing ability and convenient maintenance. Sand water content, mud content at the bottom and so on. Widely used in a variety of ore mining industry.